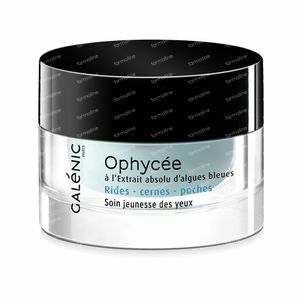 Galénic Ophycée Eye Care Wrinkles 15 ml order online. Sophisticated and light, Rejuvenating eye care has been specially formulated for the fragile eye contour area: crow's feet are reduced, the skin feels smoothed, dark circles are minimised and puffiness is diminished. Your eyes light up as a result. 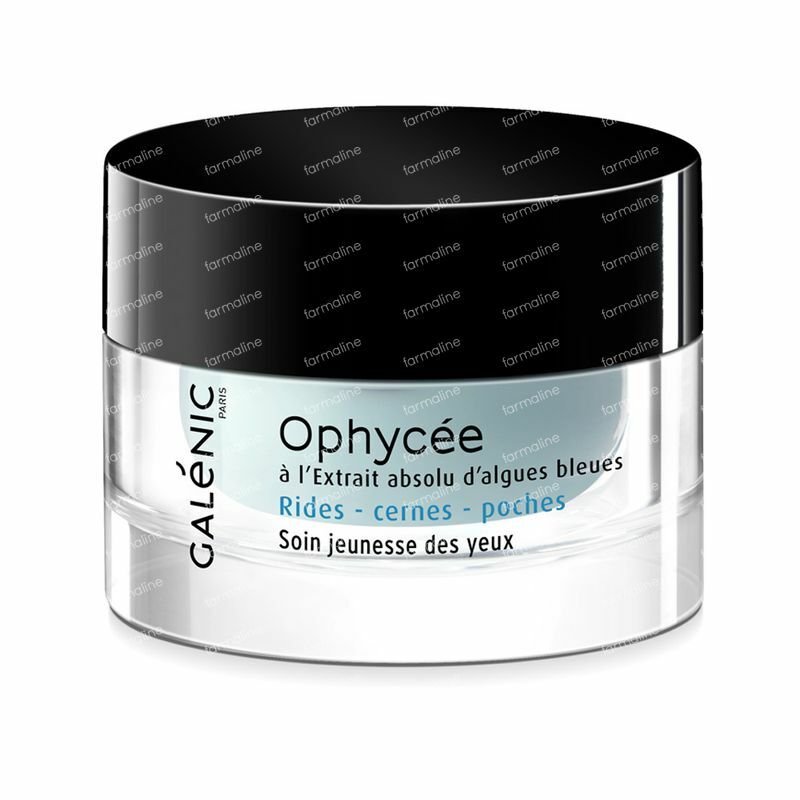 Apply every morning and/or evening to the eye contour. Use the exclusive micro-massage method for optimal absorption. WATER (AQUA). ISODECYL NEOPENTANOATE. DICAPRYLYL CARBONATE. GLYCERIN. COCO-CAPRYLATE. ARACHIDYL ALCOHOL. 1,2-HEXANEDIOL. ACID BLUE 3 (CI 42051). ARACHIDYL GLUCOSIDE. BEHENYL ALCOHOL. CALCIUM LACTATE. CAPRYLYL GLYCOL. DISODIUM EDTA. FRAGRANCE (PARFUM). GLYCERYL STEARATE. HELIANTHUS ANNUUS (SUNFLOWER) SEED OIL (HELIANTHUS ANNUUS SEED OIL). HYDROGENATED LECITHIN. HYDROXYETHYL ACRYLATE/SODIUM ACRYLOYLDIMETHYL TAURATE COPOLYMER. ISOHEXADECANE. MAGNESIUM LACTATE. MALTODEXTRIN. MICA. PEG-100 STEARATE. PHORMIDIUM UNCINATUM EXTRACT. POLYMETHYL METHACRYLATE. POLYSORBATE 60. SODIUM HYDROXIDE. SORBITAN ISOSTEARATE. TIN OXIDE. TITANIUM DIOXIDE. TOCOPHEROL. TOCOPHERYL ACETATE. XANTHAN GUM.